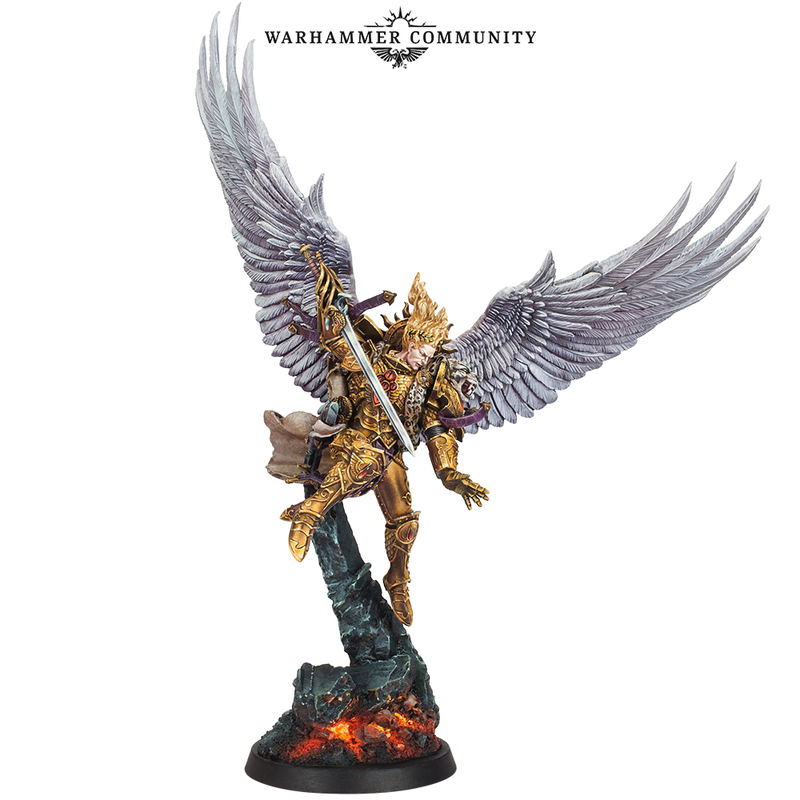 We talk about our thoughts on the recently revealed models of Commissar Severina Raine and Sanguinius, as well as the negative criticism that has surrounded them. 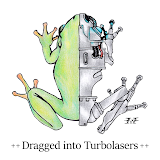 Listen to current episode on Dragged into Turbolaser's website. I absolutely agree with you 100% on both of those models. Severina looks amazing, I love her clean & professional look without departing into Raging Hormones territory. Y'all are spot on with the "They've picked this model specifically as a tie-in for the new novel, releasing a character that doesn't have a book coming out would defeat the purpose" call *AND* that releasing a commissar model that could fit into any IG/AM army makes vastly more sense than making a model that would require its own dataslate and be destined to exist out of matched play forever. (I do think we're going to see an Inquisition codex and a Rogue Trader supplement some time in the future but let's not rush 'em for a tie-in model). As for Sanguinius, I'm overwhelmed with embarrassment at the state of our hobby scene's rush to see who can be first to come up with the most absurd knee-jerk negative reaction to a model. We know now and we've known for AGES that any of FW/GW's product photos in their "White Void" presentation always look terrible and make models look as poor and flat as possible. We've known that since at least the Storm Talon but maybe even earlier. Without other object to judge size & scale against and with their strange lighting rig the presentation suffers abysmally. I look forward to this weekend's weekender letting us see him unpainted & in person that will make everybody eat their words. Simon Egan is a world class mini sculptor and I don't think he'd wiff on one of the most important Primarch figs. Honestly, compare look of the Jet Pack Custards on their product page next to the one of them on the tabletop next to scenery etc. Yeah, Egan is remarkable, I cannot imagine him messing up a Primarch. GW has good photographers, I just feel they are really bad a picking good single images. As you mentioned, their images with other models in the scene tend to be a lot better. Oh and don't get me started on Kabuki. I bought their "Alpharius" before we got the Big A from FW and between his little peanut head & the chains flying in a different direction to his cape it is just a seriously silly little model. Yeah, I really do not like Kabuki models, they really come off as cheap cash grabs. Sanguinius is objectively an incredible model, absolutely stunning in concept and execution. Unfortunately some commentators seem to have conflated "That's not how I personally pictured him" with "That's shite". Legs at the wrong angle? Get out of town! As you state the very fact that FW can pull off a sculpt that so obviously references Baroque painting and convincingly carries that depth of allusion without looking like a clunky pastiche is IMHO, nothing short of incredible. Us old Grognards can cast our mind back to the original Leman Russ and rejoice to find ourselves in a golden age of miniature design! Yeah, it is surprising how many people do seem to fall into the category of calling something terrible simply because they do not like a particular detail. We tend to be pretty critical of models, but try to make it clear that it is rarely that the sculptor is objectively terrible. Cheers for the interesting observations, guys! As for Sanguinius, I don't hate the model and agree the amount of detail is excellent. The model also clearly reads as Sanguinius. I will admit that I would actually have expected a pose somewhat more similar to the Kabuki model (which is indeed pretty bad otherwise). That being said, your pointing out the connection to the classic renaissance painting has given me a whole new appreciation for the pose -- cheers for pointing that out, I hadn't noticed! The one aspect where I don't agree with you is on the possibility of the pose maybe working better in conjunction with a possible display base that might be a part of the eventual release: While I appreciate those display bases and agree they can be a cool way to add something to the model, I would also argue that the model has to completely work on its own, even when the display base is not there. So this really shouldn't be a factor, should it? Ultimately, I agree with you that a Games Workshop models should "work" by itself, not needing additional base materials. They are designed as gaming pieces. I feel the Primarch models are some of the only models that I feel the artist (Egan) sometimes seems to design them as more of an artistic statement. Something with dynamic poses that create a stunning image that begs to simply be displayed. I think this also fits with the almost mythical status of the characters. The fact that they made the detachable display bases suggest that FW recognized that they are somewhat in a league of their own. Because of this, I am willing to accept that maybe Sanguinius could have been made to go best with another element on a larger base. But in principle, I do not think doing such things for GW models is a very good idea. Another excellent episode, gentlemen. I agree with all your thoughts this time around. I particularly like the reference to renaissance art with Sanguinus (particularly appropriate for the Blood Angels) and I wish more of this sort of thing would creep into 40K/30K. I do think Krautscientist has a point though--it is not immediately easy to say where on the scale of gaming piece to art piece this figure sits, but it would be a bad thing if they all had static poses like Rogal Dorn. Severina Raine is a great figure, you have to shake your head when you see some of the ridiculous criticism. Thanks for listening! I really like the renaissance reference; I feel it elevated the model and makes it more interesting and visually striking. I think so, anything that adds another element or point of interest is a good thing!